Thanks to Illustration Friday I learned a new English word today! Very cute. No more need to sweep the floor of those pesky cat hairs, now they're on the ceiling :-) Like your blog./Vraiment joli. Plus besoin de ramasser les poils de chats fatigants sur le plancher, maintenant, ils sont au plafond :-)Bon blog. 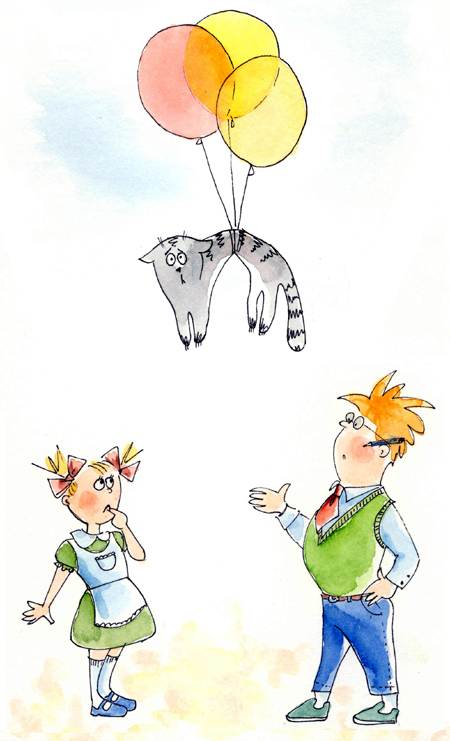 Poor Kitty…the ballon contraption sent his nerves flying. Well done.